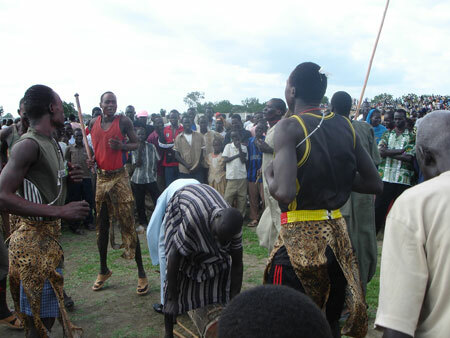 Shilluk dancers at Malakal during the ceremonies held there in July 2006 to mark the first anniversary of the death of John Garang. Morton, Chris. "Garang anniversary in Malakal" Southern Sudan Project (in development). 03 Jan. 2006. Pitt Rivers Museum. <http://southernsudan.prm.ox.ac.uk/details/2007.137.75/>.